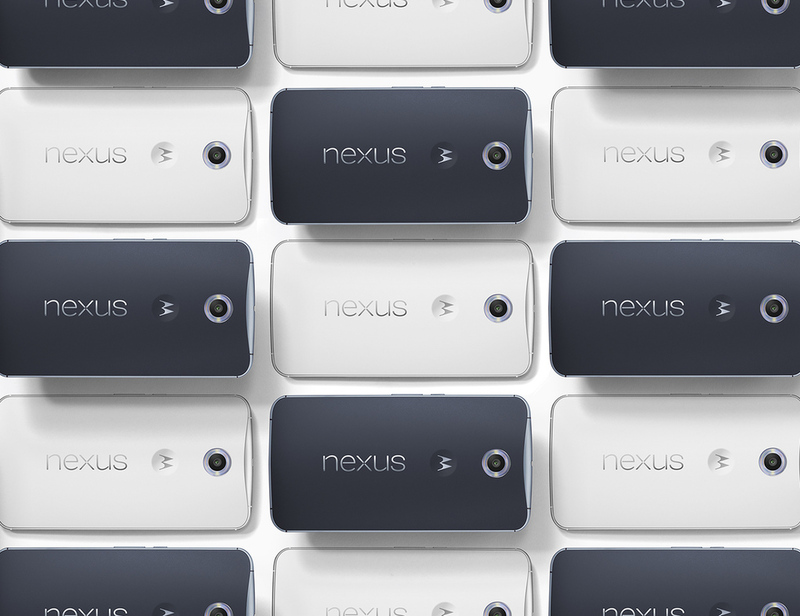 Google Nexus 6 – So This One They Speced Out! I couldn’t have said it any quicker, just as I was talking about the OnePlus One device being what the Nexus 5 should have been built as, Google has answered me with the Nexus 6. 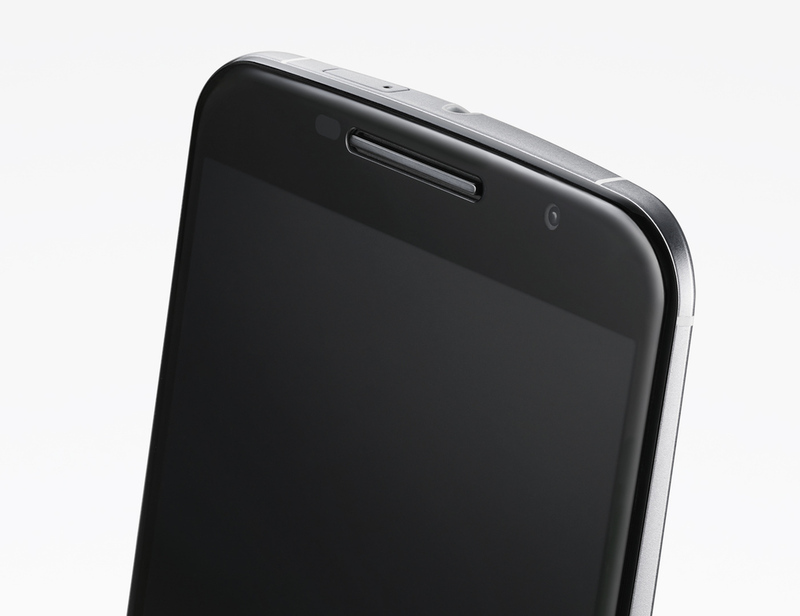 A Moto X on steroids, all the best possible specifications put into Google’s flagship phone, this is same case as the Nexus 5 based on the LG G2. 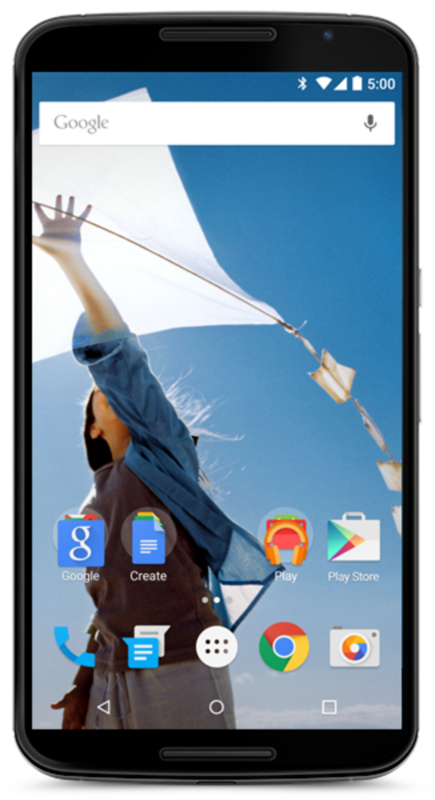 As with any new Nexus launch it is the first device to be launch with Android 5.0 aka Lollipop which has that clean crisp look that was displayed previously by Google a few months back. 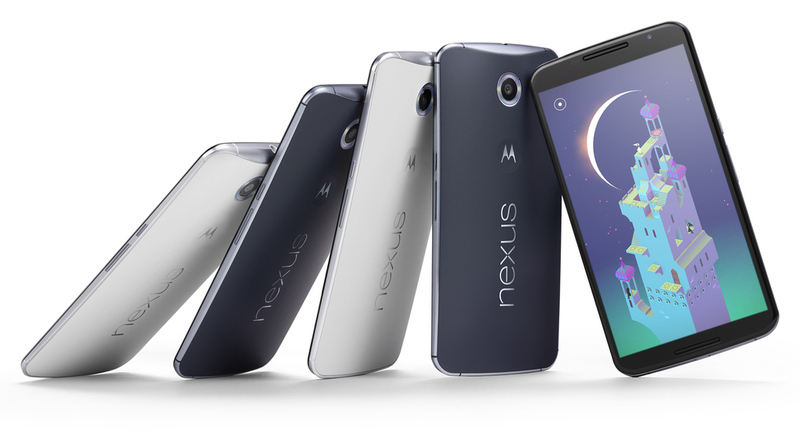 The biggest difference with this Nexus is the 6-inch display — bigger than both the Galaxy Note 4 and iPhone 6 Plus, a. Like the Note 4. 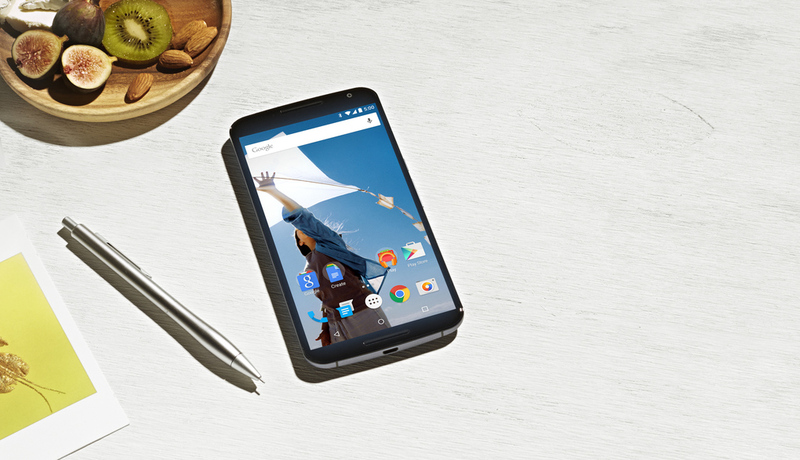 Google’s Nexus 6 also uses a Quad HD display, which means that text and images on the phone should still be really sharp, despite its large size. The phone has a Snapdragon 805 processor, a 13-megapixel rear camera, a 2-megapixel front camera, a 3220 mAh battery, and two front-facing speakers. It comes in blue or white, and 32 GB or 64 GB, starting at $649 unlocked, I’m assuming it will be $749 for the 64GB version. It can include either 32 or 64GB of internal storage and comes in either blue or white. And since it’s made by Motorolla it also has the Turbo Charging feature, which means you can charge it up to 6 hours of use in 15 mins. And the best part of this Nexus unlike all the others is that LTE will work in the middle east LTE Bands: 1/3/5/7/8/9/19/20/28/41. 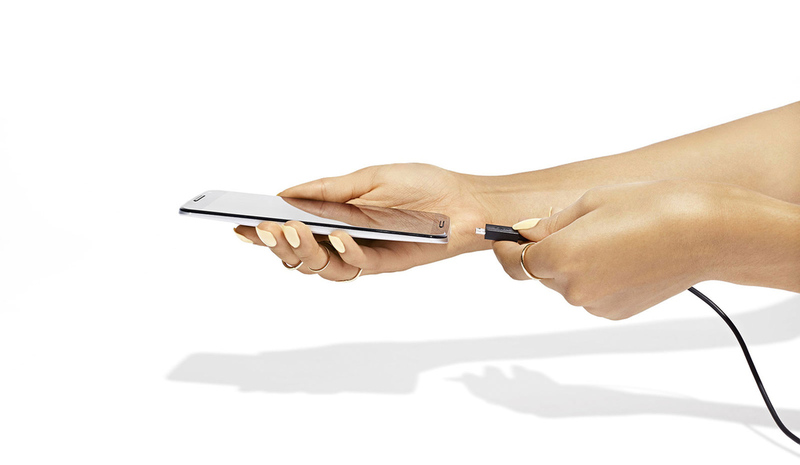 Gorilla Glass 3 for a phone this size is a must, at 5.97 inches, this is no joke. This is the first Phablet I have ever purchased, lets see how it feels.